Andrea Z. Hernandez, 80, of Fremont, OH passed away on Sunday, May 20, 2018 at Stein Hospice in Sandusky, OH. She was born August 11, 1937 in Harlingen, TX to George and Petra (Lozano) Zuniga. Andrea married Pete A. Hernandez on June 3, 1953 in Oak Harbor, OH and he preceded her in death on November 27, 2011. She worked for Dayton Marine, Kelsey Hayes and Whirlpool Corporation. Andrea was a member of Tempo Genesaret Church in Fremont where she enjoyed attending services. She also enjoyed making tamales, visiting the sick in the hospital and loved her animals. Andrea is survived by her children, Gloria Quinones, Rozi (Paul) Cantu, Lillie Day and Pete Hernandez, all of Fremont, OH, Tristen Hernandez, Fostoria, OH; siblings, Emily Gonzales, Fremont, OH, Nora Garcia, Woodville, OH and Andy (Maria) Zuniga, Fremont, OH; sixteen grandchildren; thirty-seven great grandchildren and six great-great grandchildren; special friend, Paul Lopez, Fremont, OH. 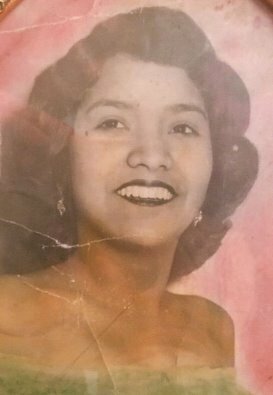 She was preceded in death by her parents; husband, Pete A. Hernandez; siblings, Anita Gonzales, Felipa Nason, Tina Stacy, Ismael Zuniga and Delores Sanchez. Service: Thursday, May 24, 2018; 11:00 a.m. at the funeral home. MY condolences to the entire family . My parents and I knew your family many many years ago. Especially Gloria and Rozi. I am so very sorry for your loss and pain that you are all feeling. Will keep you in my prayers. Heart felt condolences to the entire family . My parents were friends of Pete and Andrea. I met them when I was a child in the 1970’s They were great folks. funny, caring, respectful. I enjoyed speaking with them when they would come over to my parent’s home. God Bless. Gloria, Rozi, Lily, Dan, Tristan…Sorry for your loss! Andrea was always Friendly, and Caring to me and my Family. She will be missed! May Gods’ Peace and Comfort wrap itself around you at this time. Hugs! Sorry for you loss, we pray the Holy Spirit will comfort you during this time.